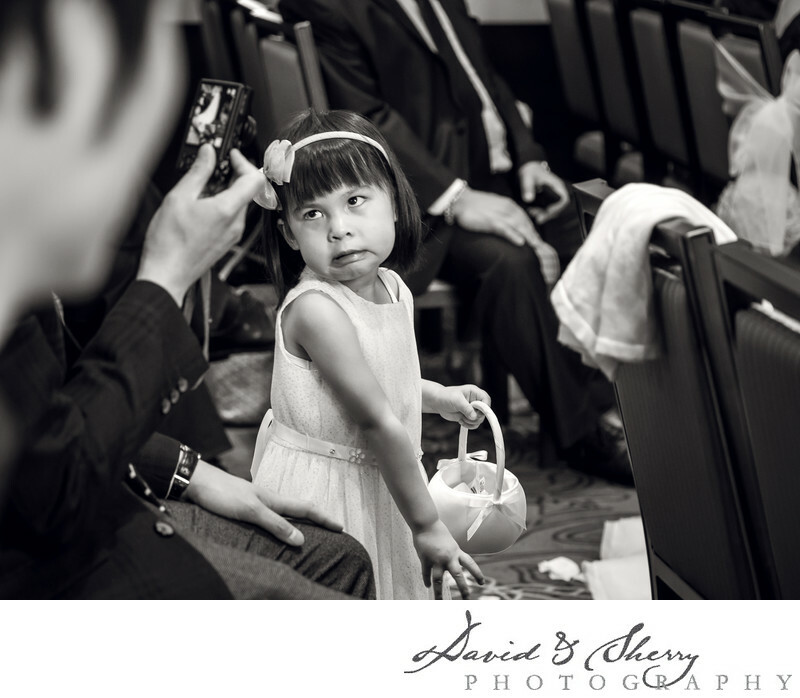 When you invite your nieces or nephews or kids friends to a wedding in order for them to be the ring bearer or the flower girl funny things can happen. They give wonderful looks and emotions and interesting times. Sometimes they cry all the way down the aisle, sometimes they do things that make everyone laugh. These are wonderful moments and it is something we are always looking for at any time of the wedding day. We use our skills as photojournalism photographers to look for moments and be ready at any moment to have our cameras pointed in the right direction. We use the correct lenses, focal length and aperture to be ready to get great images of the kids on the wedding day. We love all different types of people from the young to the old and we use all of our knowledge of light and the way people move in order to capture wonderful pictures of every one of the guests on the day of a wedding. Give us a call to talk about how we can be your wedding photographers who specialize in wonderful pics of every different portion of your wedding. Thank you for having a look through our portfolio.